Radical Sportscars has announced the launch of two US Radical spec. series starting in 2007. As the series names imply, the ‘Radical Cup West’ and ‘Radical Cup East’ are separate series, which will run on both coasts. The ‘Radical Cup East’ will be organised by Radical North America Inc, headed up by well known racers Larry Huang and Chris Hall. The series will comprise twelve events, running at Barber Motorsport Park, Daytona International Speedway, Homestead Miami Speedway and Sebring International Raceway. All Radical models will be eligible, running in four classes. Two sprint races and a one-and-a-half hour, two-driver, endurance race will be the format at each event. Radical North America will be supporting each event with a comprehensive spares, technical and training package. On the West coast, Radical Ventures Inc. will be running the Radical Cup West, headed by top driver and team manager Jeff Shafer. 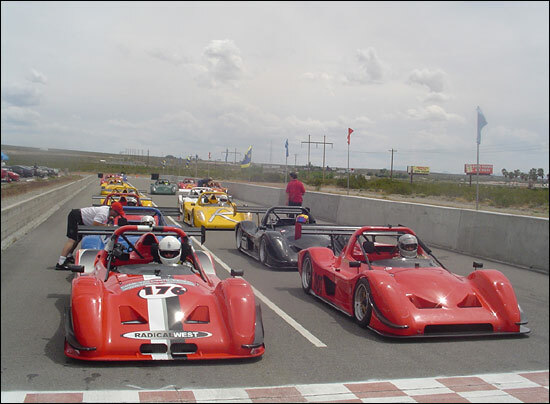 Radical Ventures is in the racing arm of Radical West Inc., which operates the Radical race school at Spring Mountain Motorsports Ranch, near Las Vegas, Nevada. The Radical Cup West will comprise eight events to be held at California Raceway, Infineon Raceway, Laguna Seca Raceway, Willow Spring International Raceway and the Spring Mountain Motorsports Ranch. As with the East coast series, all Radical models will be eligible for the Radical Cup West and the racing will take in a range of formats. “Radicals have been racing very successfully in SCCA events across the States for eight years," explains Mick Hyde at Radical in the UK. “We have been working recently to expand on this success, in the same way we have developed race series across Europe. “We were invited to participate this year in the new IMSA Lites series, which support the ALMS, in which Radical’s SR9 LMP2 car is competing. We signed up for five years, but with new rules requiring us to use an Elan chassis and engine, we have decided to pull out and do what we do best, ie run Radical spec. series. 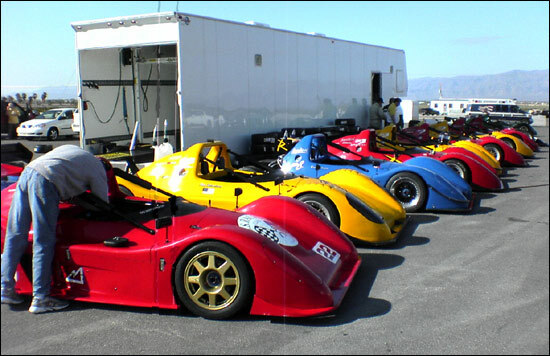 “With the help of our subsidiary Radical North America, based in Florida and Radical Ventures, based in Nevada, we are providing both experienced drivers and enthusiasts new to the sport, with a professional and family-friendly environment to safely experience the phenomenal performance of our range of sports prototypes. Everyone who drives our cars is just amazed at how fast and driver friendly the cars are.